The accident happened around 10:00 in the evening near Grant Line Road when a Pontiac Grand Prix, with the driver and two passengers onboard, was involved in a collision with a big rig. According to the report, the vehicle became wedged under one of the rear wheels of the truck. The collision killed one of the passengers in the front seat of the Pontiac, described as a woman, age 22, who died at the scene. The 22-year-old driver of the Pontiac and a 1-year-old were transported for treatment to UC Davis Medical Center for minor injuries suffered in the crash. The collision report stated that all three of the people in the Pontiac were from Vacaville. The truck driver did not suffer any injuries in the collision. 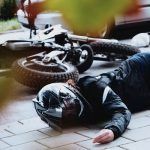 What Is a Wrongful Death in a Car Accident? 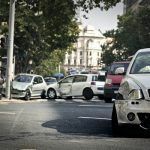 A wrongful death in a car accident is due to another driver’s negligence, a product defect or failure to maintain the roads in a safe condition. This type of civil lawsuit is used to compensate the family members for the financial loss they suffered due to their loved one’s demise. 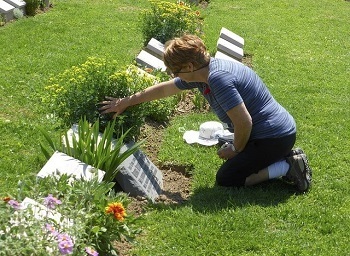 It is also used to compensate for the expenses surrounding a person’s death such as funeral expenses and burial costs. If the person did not die for a time preceding death, the family can also file a survivor action, in which they stand in the place of the decedent. By doing this, the family can file a personal injury lawsuit for the trauma the person experienced as well as hospital costs and other expenses accrued prior to death. One of the most significant problems drivers experience at night when encountering trucks on the road is the lack of warning lights. Trucks require side and rear reflectors or lights to alert motorists to the length and width of the vehicle. If these are absent, it is possible that a motorist will misjudge the presence of a truck and an underride accident will occur. I’m Ed Smith, an Elk Grove wrongful death lawyer. 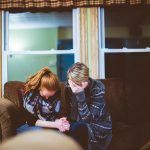 Losing a family member is a tragic experience that is compounded when your loved one was lost through someone else’s negligence. For free, compassionate and friendly advice, call me at (916) 921-6400 locally or (800) 404-5400 if you are calling long-distance. 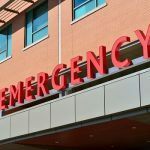 During my career as a personal injury lawyer for over 36 years, I’ve assisted numerous Elk Grove residents with many types of car accidents and serious wounds such as brain injuries to obtain fair compensation. Million Dollar Forum is a group I belong to, which accepts only trial attorneys who have won a settlement or verdict for a client in excess of one million dollars.